Organizations that transmit data using File Transfer Protocol (FTP) are exposed to many obvious risks and face daunting challenges dealing with managing/maintaining such processes, as well as the associated high costs. 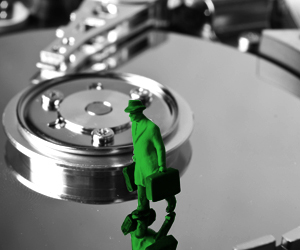 A lack of visibility, reliability, and security are just a few of inherent issues with FTP. 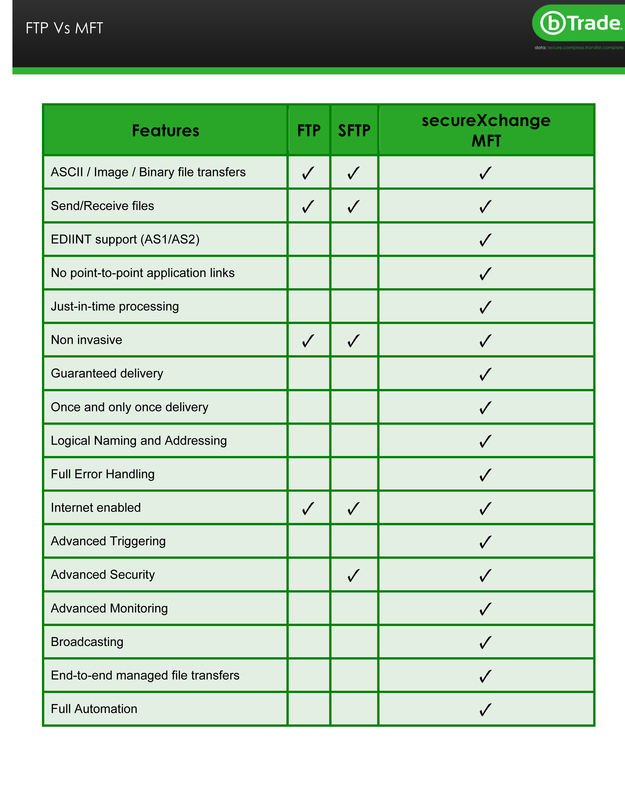 bTrade’s managed file transfer (MFT) solution, secureXchange, delivers the security you require, as well as the scalability and flexibility needed to replace, upgrade or consolidate such FTP processes. The chart below highlights the advantages of using secureXchange. Please contact us at sales@btrade.com to learn more about secureXchange and your options for upgrading, replacing or consolidating your expensive, at-risk FTP processes.